Belgium’s prime minister says its highest level of alert will remain in effect for Brussels on Monday, with metro and schools closed, as there is still a “serious and imminent” threat of coordinated, multiple Paris-like attacks. A level three terror threat on a four point scale will stay in place for the rest of Belgium, PM Charles Michel said on Sunday. “What we fear is an attack similar to the one in Paris, with several individuals who could also possibly launch several attacks at the same time in multiple locations,” he told a press conference in Brussels. Police and army presence will be boosted in the capital, Michel said, stressing that possible targets include malls, shops, and public transport. 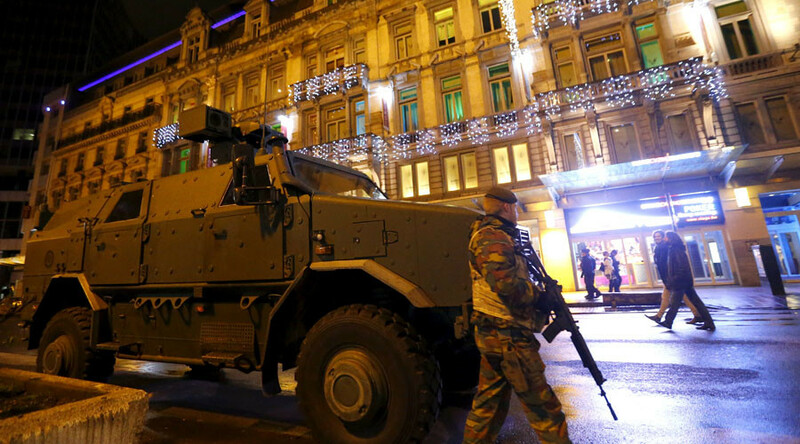 The Belgian capital has been on lockdown since security agencies warned of imminent attacks on Saturday. The city has been at the center of an investigation into the Paris attacks that claimed 130 lives, as several of the assailants came from Belgium. Suspected attacker and fugitive Salah Abdeslam managed to evade police afterwards and return to Brussels.